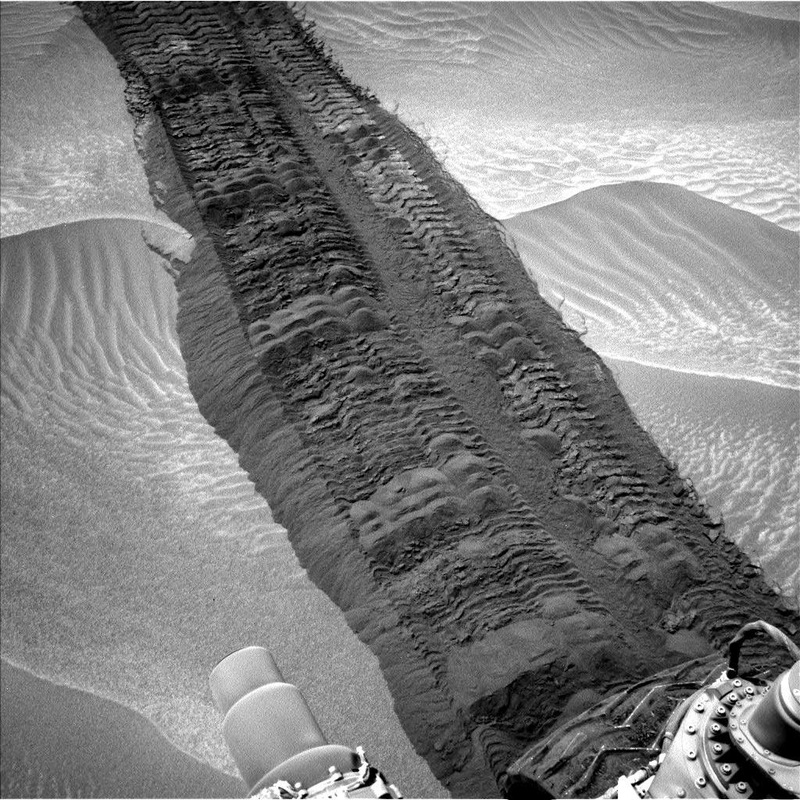 This image from the Navigation Camera on NASA's Curiosity Mars rover shows wheel tracks printed by the rover as it drove on the sandy floor of a lowland called "Hidden Valley" on the route toward Mount Sharp. The image was taken during the 709th Martian day, or sol, of the rover's work on Mars (August 4, 2014). That was one day before the second anniversary, in Earth years, of Curiosity's landing on Mars. Note: For more information, see NASA Mars Curiosity Rover: Two Years and Counting on Red Planet.